Properties in Rangsdorf Station average 4.3 out of 5 stars. Top location apartment in Mitte-Tiergarten Hansaviertel near Victory Column. Property 1: Top location apartment in Mitte-Tiergarten Hansaviertel near Victory Column. Sonnen apartment in Prenzlauer Berg with WiFi, private terrace & lift. Property 12: Sonnen apartment in Prenzlauer Berg with WiFi, private terrace & lift. TOP location with parking near Kudamm-FEWO EXCLUSIVE -from renovated! Property 22: TOP location with parking near Kudamm-FEWO EXCLUSIVE -from renovated! Greifen Natur apartment in Prenzlauer Berg with WiFi. Property 27: Greifen Natur apartment in Prenzlauer Berg with WiFi. Property 31: Bergmann apartment in Kreuzberg with WiFi. You do not have a suitcase in Berlin? Property 41: You do not have a suitcase in Berlin? 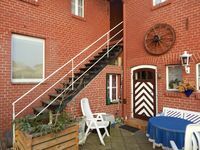 Apartment in a very quiet location.10 min walk from train station.Very clean and comfortable.The owner Luca and Monika who lives in the block were very helpful. We found it an ideal base for exploring Berlin. Lovely home in a quiet area. Easy access to public transportation. This place had everything we needed for our weekend in Berlin.